From the 1Department of ENT, Head and Neck Surgery KVG Medical College, Sullia, India; 2Department of Anesthesia KVG Medical College, Sullia, India. Address correspondence and reprints request to: Dr. Sudhir M Naik, Department of ENT, Head and Neck Surgery KVG Medical College, Sullia, India. Naik SM, Naik SS. Tonsillo-Styloidectomy for Eagle’s Syndrome: A Review of 15 Cases in KVG Medical College Sullia. Oman Med J 2011 March; 26(2):122-126. Elongated styloid process causing Eagle's Syndrome is a rare clinical entity and the diagnosis is often difficult as a result of its vague symptomatology. However, palpation of tonsillar fossa with radiological demonstration of the elongated styloid process confirms the diagnosis. This is a report of a retrospective study conducted at the KVG Medical College, Hospital, Sullia, Karnataka, India where 15 patients who were surgically treated for Eagle’s syndrome in the ENT department were retrospectively studied. Fourteen patients became symptom free after surgery within three months of follow up. Tonsillo-styloidectomy is the treatment of choice for Eagle’s syndrome with a high success rate. Eagle defined the length of a normal styloid process at 2.5-3.0 cm.1,2,4 The styloid process may vary from 5 to 50 mm in length and the stylohyoid ligament may ossify from its origin at the styloid process to its attachment at the hyoid bone.5 Moffat,6 described the normal length of styloid process as 1.52-4.77 cm, Kaufman,7 described it as less than 3 cm, Lindeman,8 described it as 2-3 cm, Correl,9 Langlais,10 and Montalbetti11 described it as less than 2.5 cm, while Monsour and Young,12 described it as less than 4 cm and Balcioglu,13 defined it as 40 +/- 4.72 mm. In this is a case series, of the 15 cases with elongated styloid process with symptoms presenting to the ENT/OPD KVG Medical College, Sullia. KVG Hospital, Sullia is a 750 bedded medical college in South India. The daily ENT 0PD patient input is 60-70. The hospital has a catchment area of 6 towns with nearly one lakh population each. All presented with history of pain and foreign body sensation in the throat. Of these, nine were females and six were males. Examination of the oropharynx revealed a chronic tonsillitis in all the cases. As the pain did not coincide with the clinical symptoms of tonsillitis, palpation of the upper part of both the tonsillar fossa were performed using gloved fingers. A sharp prick or a blunt bony elevation was felt in most of the cases on palpation. A clinical diagnosis of elongated styloid process was done. X-ray Towne’s view, (Figs. 1, 2) and lateral view of the skull base, as well as the upper neck were done for all cases. The patients were injected with 1 ml of 2% lidocaine into the area and the symptoms subsided on local anaesthesia.14,17,18 CT scan of the skull base was done confirming the diagnosis. 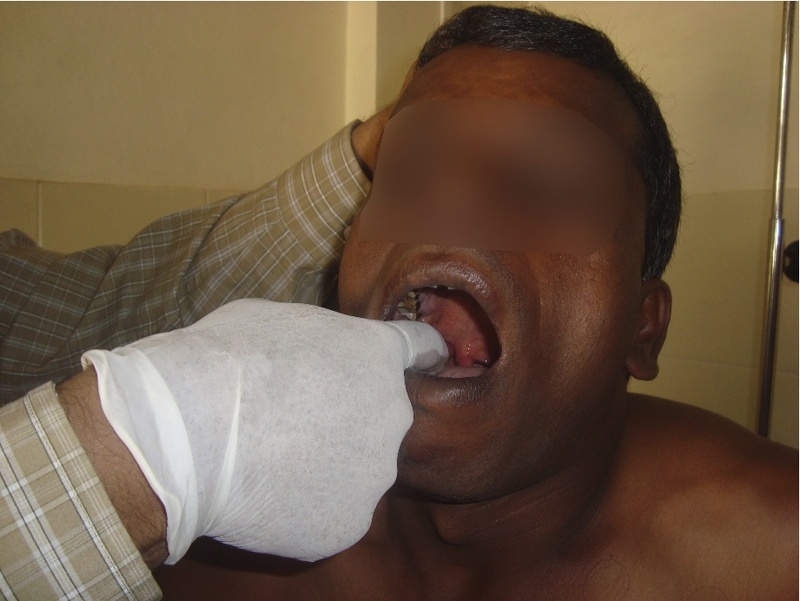 Figure 1: Intra-oral palpation of elongated styloid process. 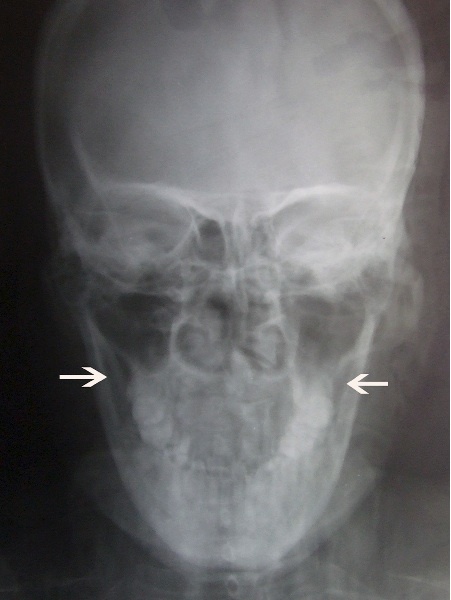 Figure 2: X-ray Townes view showing elongated styloid process. Figure 3: Intra operative photographs showing elongated styloid process in tonsillar fossa. Figure 4: Intra operative photographs showing elongated styloid process in tonsillar fossa. Figure 5: Intra operative photographs showing elongated styloid process in tonsillar fossa. 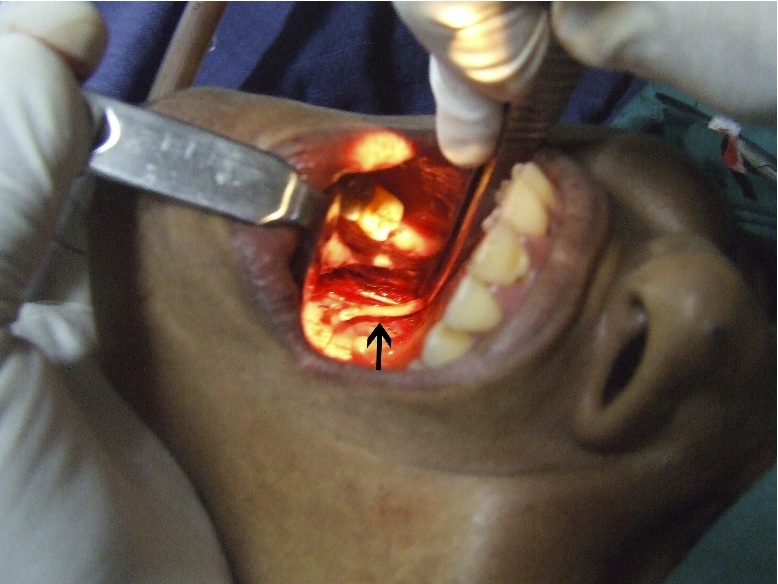 Figure 6: Styloid processes and tonsillar tissue after resection. The mean duration of symptoms was 7.53 months with main presenting symptom being pain in the throat, foreign body sensation, referred otalgia, headache, carotidynia, dizziness and dysphagia. Other clinical symptoms in literature such as pulsatile tinnitus, palpable neck mass and globus pharyngeus were not reported. In 12 patients, elongated styloid process was bilateral and in three patients, elongation was unilateral. The patient with 43 mm styloid process had the maximum symptoms, while the patient with 26 mm styloid process had the minimum symptoms. Therefore, according to this report, there is a definite correlation between the length of the elongated styloid process and clinical symptoms. After surgery, nine patients became symptom free in 7 days, three patients in 15 days, two patients in 30 days, but 1 patient had pain even after 1 month of surgery, (Table 2). He was re-evaluated and was treated with oral carbamazepine for one month. Table 2: Follow up of the patients after surgery. Eagle's syndrome associated with elongated styloid process is a rare clinical entity. Clinical palpation of tonsillar fossa was complemented with a plain radiography of skull base Towne’s view, lateral view of the skull base and CT scan to make a diagnosis. The length of the styloid process correlates with the clinical signs and symptoms. Tonsillo-styloidectomy is the treatment of choice in all cases of Eagle’s syndrome and has definitely proven to relieve the patients of styalgia. Awareness of this syndrome is important to all health practitioners involved in the diagnosis and treatment of neck and head pain. 1. Eagle WW. Elongated Styloid process. Arch Otolaryngol 1937;25:584-587. 2. Eagle WW. Elongated styloid process; symptoms and treatment. AMA Arch Otolaryngol 1958 Feb;67(2):172-176. 3. Feldman VB. Eagle's syndrome: a case of symptomatic calcification of the stylohyoid ligaments. J Can Chiropr Assoc. 2003;47(1):21-27. 4. Eagle WW. The symptoms, diagnosis and treatment of the elongated styloid process. Am Surg 1962 Jan;28:1-5. 5. Chandler SR. Anatomic variations of the stylohyoid complex and clinical significance Laryngscope 87: 1692-1701, 1977. 6. Moffat DA, Ramsden RT, Shaw HJ. The styloid process syndrome: aetiological factors and surgical management. J Laryngol Otol 1977 Apr;91(4):279-294. 7. Kaufman SM, Elzay RP, Irish EF. Styloid process variation. Radiologic and clinical study. Arch Otolaryngol 1970 May;91(5):460-463. 8. Lindeman P. The elongated styloid process as cause of throat discomfort:4 case reports. J Laryngol 1985;99:505-508. 9. Correll RW, Jensen JL, et al. 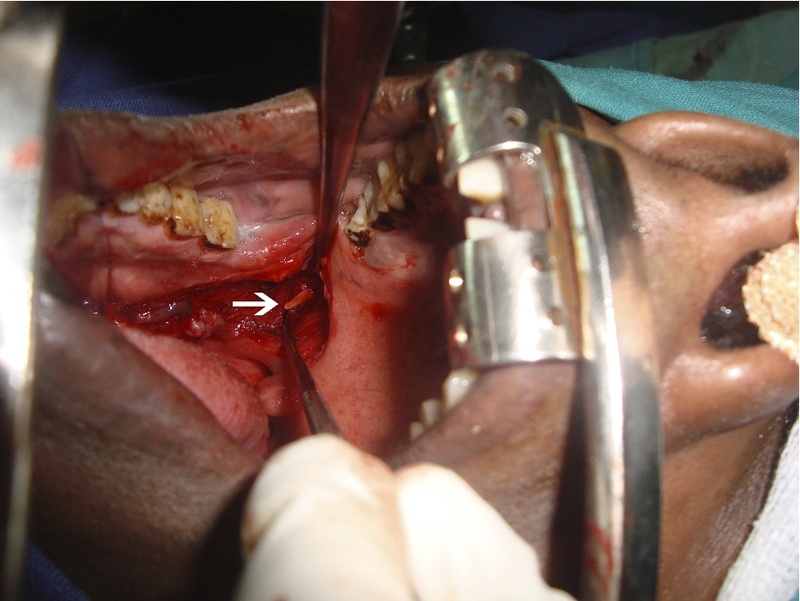 Mineralization of stylohyoid-stylomandibular ligament complex. Oral surg Oral med Oral path 1979; 48:286–291. 10. Langlais RP, Miles DA, Van Dis ML. Elongated and mineralized stylohyoid ligament complex: a proposed classification and report of a case of Eagle’s syndrome. Oral Surg Oral Med Oral Pathol 1986 May;61(5):527-532. 11. Montalbetti L, Ferrandi D, Pergami P, Savoldi F. Elongated styloid process and Eagle’s syndrome. Cephalalgia 1995 Apr;15(2):80-93. 12. Monsour PA, Young WG. Variability of the styloid process and stylohyoid ligament in panoramic radiographs. Oral Surg Oral Med Oral Pathol 1986 May;61(5):522-526. 13. 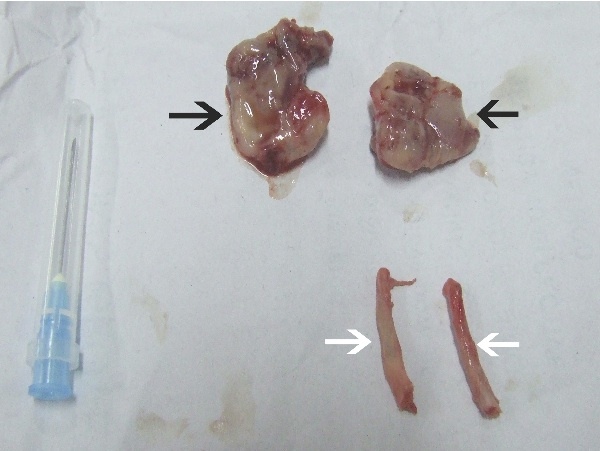 Balcioglu HA, Kilic C, Akyol M, Ozan H, Kokten G. Length of the styloid process & anatomical implications for Eagle’s syndrome.Folia Morphol. Nov2009; 68:265:70. 14. Murtagh RD, Caracciolo JT, Fernandez G. CT findings associated with Eagle syndrome. AJNR Am J Neuroradiol 2001 Aug;22(7):1401-1402. 15. Rechtweg JS, Wax MK. Eagle’s syndrome: a review. Am J Otolaryngol 1998 Sep-Oct;19(5):316-321. 16. 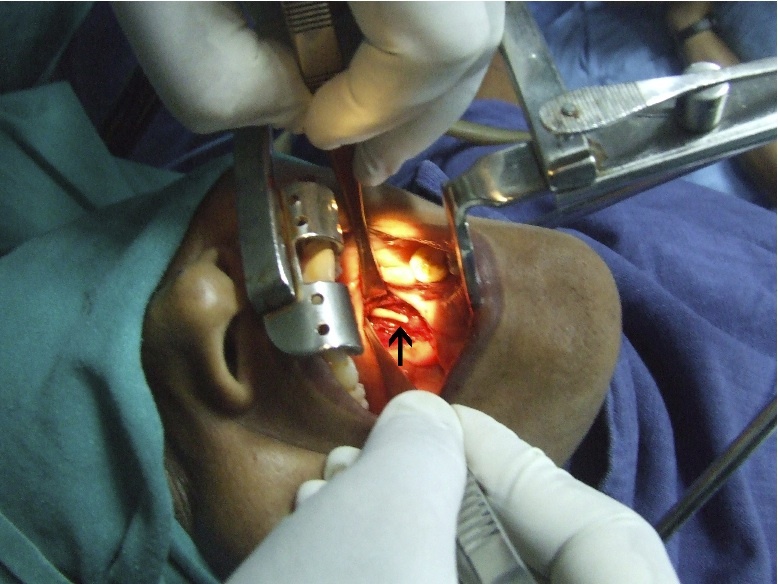 Balasubramanian S. The ossification of styloid ligament and its relation to facial pain. Br Dent J 1964;116:108-111. 17. Baugh RF, Stocks RM. Eagle’s syndrome: a reappraisal. Ear Nose Throat J 1993 May;72(5):341-344. 18. Beech TJ, McDermott A. An Interesting Presentation Of Eagle Syndrome: Internet J Otorhinolaryng. 2006; 5. 19. Gossman JR Jr, Tarsitano JJ. The styloid-stylohyoid syndrome. J Oral Surg 1977 Jul;35(7):555-560. 20. Balbuena L Jr, Hayes D, Ramirez SG, Johnson R. Eagle’s syndrome (elongated styloid process). South Med J 1997 Mar;90(3):331-334. 21. Baddour HM, Anear JT, Tilson AB. Eagles Syndrome, Case report. J Oral Surg 1978;36(6):486. 23. McGinnis JM Jr. Fracture of an ossified stylohyoid bone. Arch Otolaryngol 1981 Jul;107(7):460. 24. Keur JJ, Campbell JP, McCarthy JF, Ralph WJ. The clinical significance of the elongated styloid process. Oral Surg Oral Med Oral Pathol 1986 Apr;61(4):399-404. 25. Nickel J, Sonnenburg M, Scheufler O, Andresen R. Eagle syndrome: diagnostic imaging and therapy. Rontgenpraxis 2003;55(3):108-113. 26. Alcade RE, Ueyama Y, Nishiyama A, Misugughi T, Matsumura T, Kishi K. Diagnostic imaging of Eagle's syndrome. Oral Radiol 1994;10(2):143-148. 27. Alcade RE, Ueyama Y, Nishiyama A, Misugughi T, Matsumura T, Kishi K. Diagnostic imaging of Eagle's syndrome. Oral Radiol 1994;10(2):143-148. 28. Chase DC, Zarmen A, Bigelow WC, McCoy JM. Eagle’s syndrome: a comparison of intraoral versus extraoral surgical approaches. Oral Surg Oral Med Oral Pathol 1986 Dec;62(6):625-629. 29. Strauss M, Zohar Y, Laurian N. Elongated styloid process syndrome: intraoral versus external approach for styloid surgery. Laryngoscope 1985 Aug;95(8):976-979.